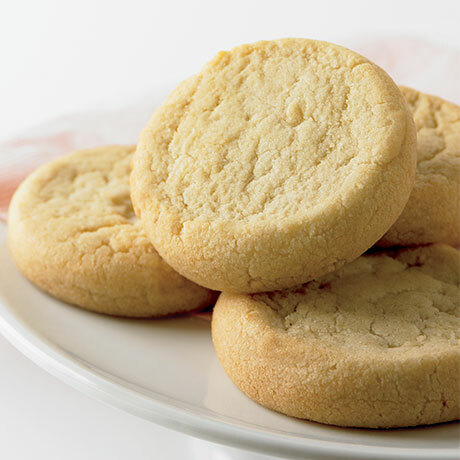 Smooth creamy butter blended with just the right balance of sugar makes this classic cookie taste just like it was baked from scratch. Approximately 36 cookie dough pieces. (PALM OIL, WATER, SALT, MONO- AND DIGLYCERIDES, NATURAL FLAVOR, VITAMIN A PALMITATE, BETA CAROTENE), EGGS, BUTTER, INVERT SUGAR, CONTAINS 2% OR LESS OF: SALT, BAKING SODA.